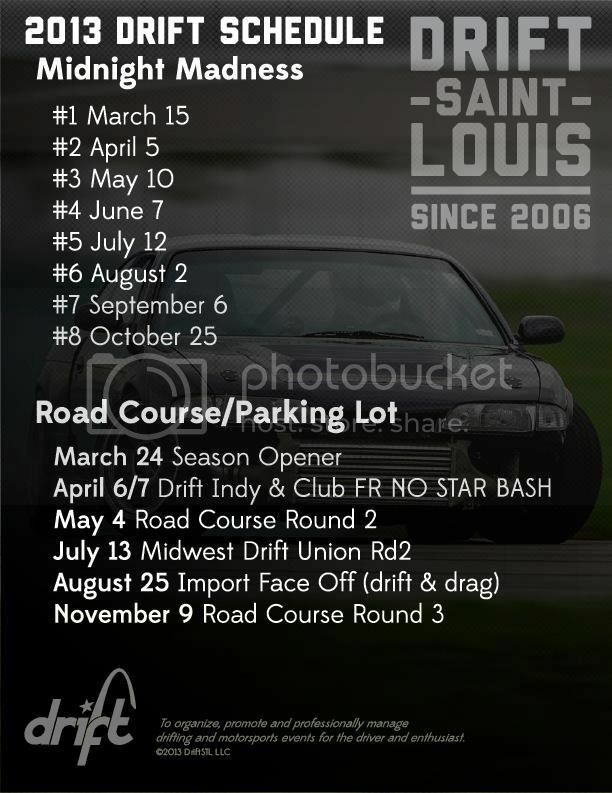 For those of you not wanting to travel great distances for a drift event here's a list of Saint Louis's schedule for the season. These are all held at Gateway Motorsports Park so you won't be stuck trying to find a new place for every event, its all right here. They don't have a proper site setup so as far as I know for registration at some of the events you will need to visit their blog which has paypal links for registration. Also majority of the events at it are held by Midwest Drift Union and Club FR, for those events you will need to visit the MDU or Club FR page for registration.